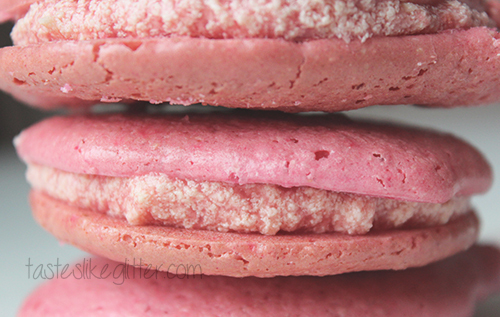 I ended up making raspberry macarons yesterday, Tumblr-ing for a bit and then falling asleep. The macarons were a bit of a fail. They ended up spreading out a ton on the backing sheet so were really flat. They were ok taste wise, some of them were a bit too chewy and they were extremely sweet, I struggled to finish one.